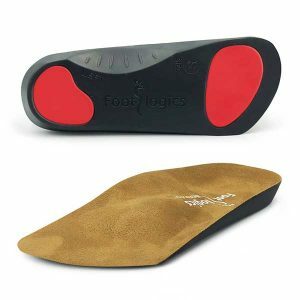 Footlogics Mens Orthotic Thong. Help with give comfort and support! I can’t believe these thongs! 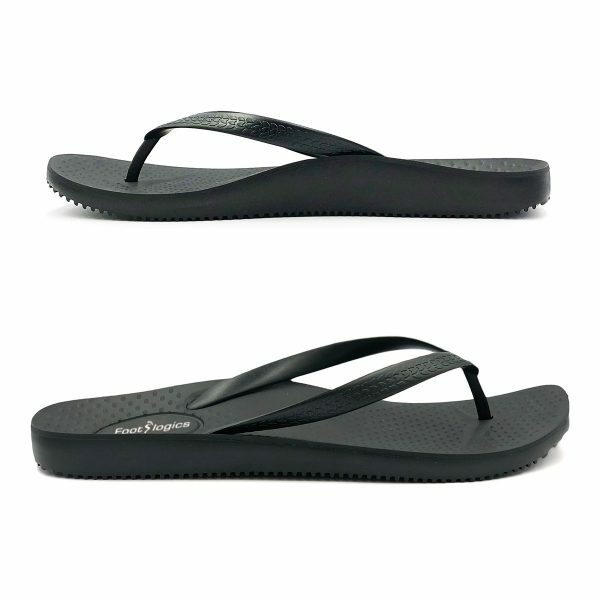 So comfortable and supportive and they just look like any ordinary thongs! Amazing. I only wish I had found these earlier as I have been suffering from heel pain for 8 months now, especially first thing in the morning getting out of bed. Now I just slip on my Footlogics thongs and have no pain at all. Thanks guys. 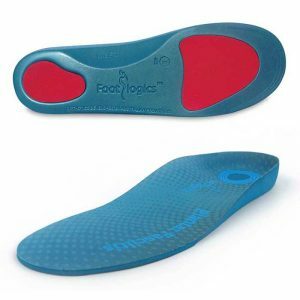 As someone who has Footlogic orthotics in every pair of shoes I own, I was hoping that they would come up with an orthotic thong. My feet were too wide for the ladies sizes so I asked them to make them in men’s sizes. And they have. And I bought a pair. And I love them. And the warm weather is here. So I will be buying another pair. And my mum wants a pair too. They are wonderful and comfortable and so well fitted for my feet. Now to ask for colours other than black!!! Thank you Footlogic for looking after the needs of your customers. My husband has been using Footlogic orthotics in his work boots and they have made a real difference for his heel pain. I saw the thongs and decided to buy him a pair and a pair for myself. They are very comfortable and look great. I will be buying more. 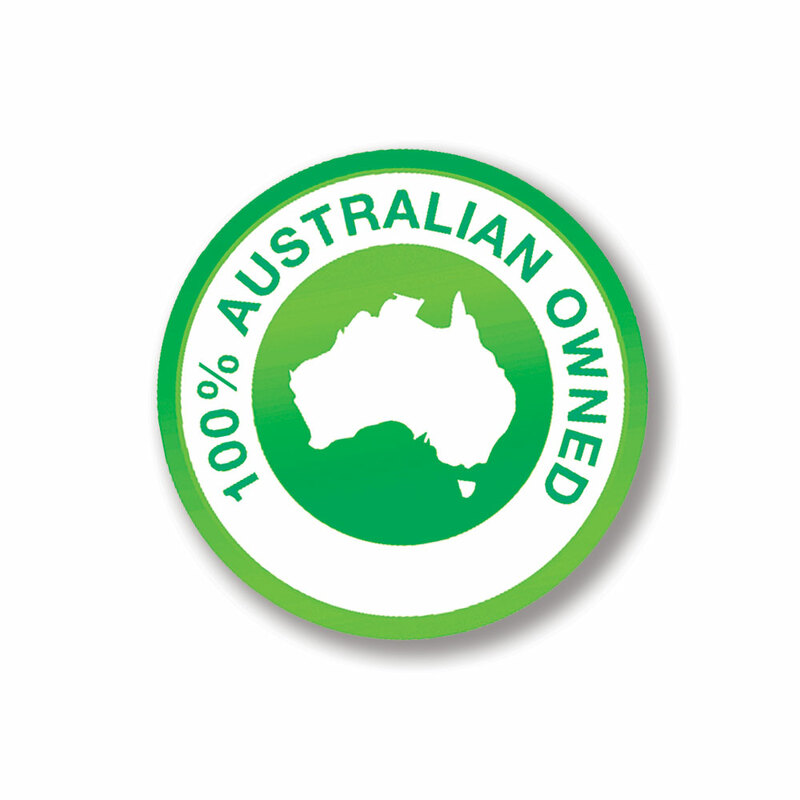 Well done Footlogic for another great product. Early days but i have noticed improvement in my walk, i no longer tend to roll in on the left. I bought these for my husband after happily wearing a pair of my own. He is really happy with the fit and comfort. Bought these for my husband as he uses footlogics inserts in every pair of his shoes. He is very pleased with the fit and comfort of these thongs. I purchased pair also and very happy with them. I am a ladies size 13 and purchased the Men’s size 11 – They fit me well and I bought a pair for my male partner in a Men’s 12 and he said that they are great too! These thongs are brilliant, best thing since sliced bread. They go on immediately after getting home and are worn everywhere. Fit is great, comfort is the best. 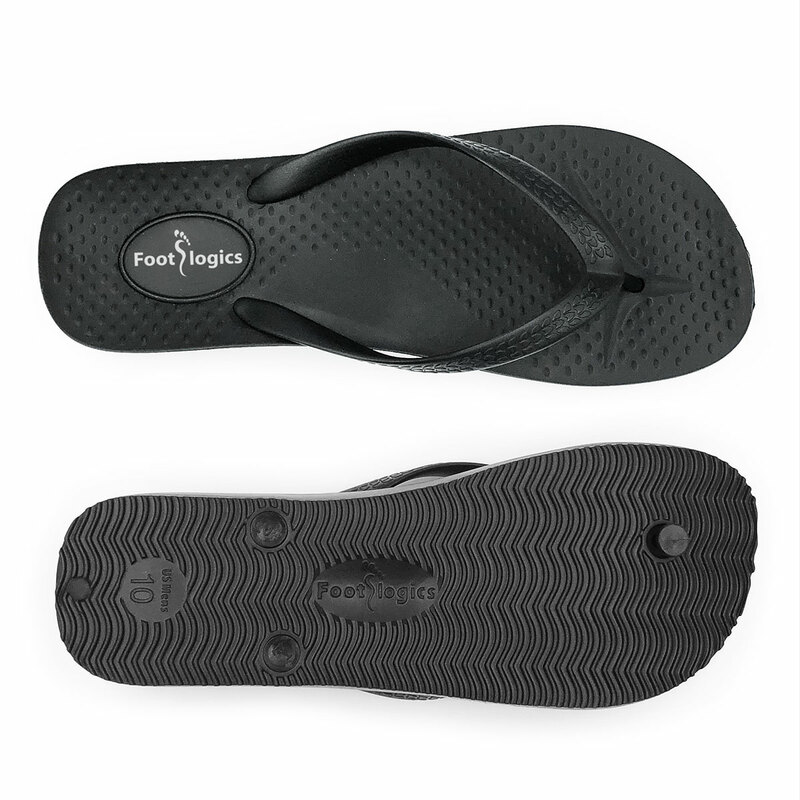 I bought a pair of footlogics thongs about 2 weeks ago and wear them everywhere inside the house. 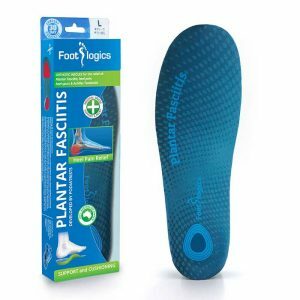 I have a heel spur and fasciitis and have been suffering for the past 7 months. They feel so comfortable and have already noticed a huge difference! The online order was simple and the delivery very fast. Highly recommended! Thank you! I purchased these for my husband as he was complaining about pain in his feet/legs. 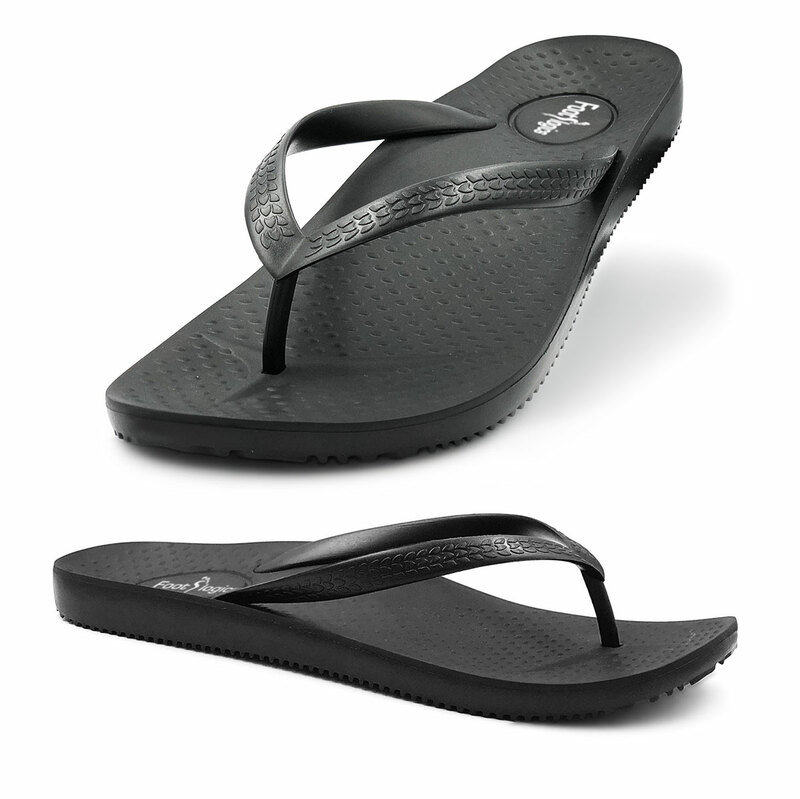 I have been purchasing the ladies thongs for a while, so thought these may help him. He loves them and has said he feels like he walking better and that they are very comfortable. Love that they are plain black as well. Highly recommended! Now I think I might get him some inserts for his work boots as well! 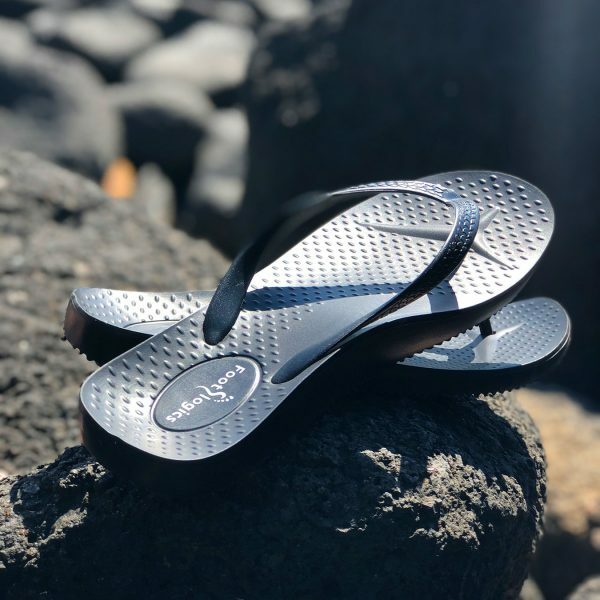 I bought these thongs for my husband who has PF and he is very happy with them and has noticed an improvement in his discomfort in just a week. Ordering was easy and my package arrived quickly and without fuss. True to size. Very comfortable, however quite narrow for my husband’s foot as the sides hang over. Ordered these for my husband and after our daughter tried them on, she loves them! So, I will be ordering another pair of these comfortable thongs for my husband. The easy online ordering process and quick delivery was excellent. Highly recommend Footlogics! Best thongs ever got them for a present and my feet love them! 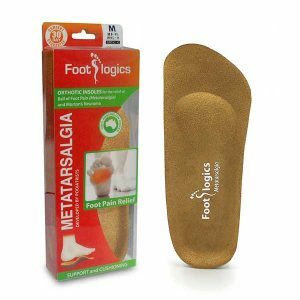 Was really happy with this purchase actually fit the foot straps are snug on the foot and very comfy..
Soft cushioning 3/4 length orthotic for the relief of ball of foot pain (Metatarsalgia) and also Morton’s Neuroma, or tired, aching feet.